Bitcoin Magazine would like to congratulate former Lead Writer and now Editorial Board Member, Vitalik Buterin, on his receipt of thePeter Thiel Fellowship Award. Vitalik is the mastermind behind the Ethereum Project. As a 20 year old, his development experience is extensive with involvement in Bitcoin, KryptoKit, and the Dark Wallet. Through the Peter Thiel Fellowship program, Vitalik will receive a grant of $100k to span over two years so he can focus full time on the Ethereum project and further decentralized developments. In addition to funding, all fellows will receive guidance on entrepreneurship and startups. SAN FRANCISCO – June 2, 2014 – Peter Thiel today introduced the 2014 class of new Thiel Fellows. The fourth set of young entrepreneurs to be awarded Thiel Fellowships, the fellows will receive support to bring their innovative scientific and technical projects to life, learn entrepreneurship from the ground up, and begin to build the companies of tomorrow. Over two years, each fellow receives $100,000 from the Thiel Foundation as well as mentorship from the Foundation’s network of tech entrepreneurs, investors, scientists, thought leaders, futurists, and innovators. Projects pursued by the 2014 class of fellows span numerous cutting-edge science and technology fields, including aerospace, computer science, education, game development, biotechnology, health I.T., neuroprosthetics, and civic technology. At a time of increasing concern over the value of a college education and a national student debt burden that tops $1 trillion, the Thiel Fellows are part of a growing national movement exploring alternative ways to build successful futures. For the 2014 fellowship, the Thiel Foundation received applications from nearly every state in the U.S. and from 44 different countries. The applications represented a diverse pool of educational experiences, coming from young people in high schools, undergraduate and graduate schools, state schools, technical schools and liberal arts colleges, homeschooled students, and some who had already stopped out of college. The Fellowship application process is known for its challenging and unconventional nature, and the journey of this year’s 40 top finalists was documented by WIRED’s new mini-series “Teen Technorati.” Season one of the series, available online now on YouTube and at http://video.wired.com/series/teen-technorati, captures every step of the competition during the finalist weekend in San Francisco as the young finalists vie for the fellowship. Shantanu Bala (19, Phoenix, AZ) is developing a system for using a real-time video and audio feed to convey visual facial expressions and auditory cues using a series of vibrations across a user’s skin. His research aims to expand the potential scope of information that can be extracted and conveyed using digital sensors and haptic actuators. Vitalik Buterin (20, Toronto, Canada) has been captivated by Bitcoin and the crypto-currency space for some time. He is now working full-time on developing Ethereum, a peer-to-peer network that any application can use and access and a mobile and desktop client to allow people to build advanced decentralized applications and use them in a platform that is as convenient as a web browser. Benjamin Englard (18, Miami, FL) is a computer scientist interested in natural language processing, computer vision, distributed computing, and the synthesis of computer science with other fields. He is working to combine ideas from computer science and psychology with the goal of personalizing technology. Adithya Ganesh (17, Plano, TX) is a computer science student on leave from Stanford. He co-invented IntentSense, an intelligent bionic glove for partial hand amputees. He is interested in using machine learning and predictive analytics to personalize bionics and health care in general. 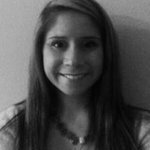 Grace Gee (19, Port Lavaca, TX) co-founded her start-up CortexML with a fellow Harvard classmate to make data analysis more intuitive and simple. She was pursuing a joint bachelors and masters in computer science at Harvard before becoming a Thiel Fellow. Ishaan Gulrajani (19, Philadelphia, PA) wants to change the way people make software. After leaving MIT, he founded a startup that won an Apple Design Award and received support from Y Combinator. Lucy Guo (19, Pleasanton, CA) is a designer and software engineer who has been creating profitable websites since 6th grade. After building educational software for developing countries, she decided that she wanted to make studying fun for everybody. During her fellowship, Lucy will be working on gamifying education by creating a platform that will allow students to study their schoolwork through multiplayer games. Thomas Hunt (17, Saratoga, CA) wants to cure cancer. He spent three years at the SENS Research Foundation studying Alternative Lengthening of Telomeres (ALT), a mechanism that is suggested to be indirectly responsible for all cancers. He is using automated high-throughput drug screening to find drugs that can reduce ALT activity. Rebecca Jolitz (19, Los Gatos, CA) hopes to revolutionize the satellite development cycle. She is a researcher-entrepreneur with a family background in aerospace and holds degrees in physics and mathematics from UC Berkeley. Alex Koren (19, Bergen County, NJ) is working on the new wave of crowd-sourced supercomputing and mobile monetization. He’s the co-founder of the start-up Hyv, which has built a platform for globally distributed computing. He envisions a world where users can not only use their devices for entertainment and communication, but also for social progress. Conrad Kramer (17, Philadelphia, PA) taught himself to program at age 13, and hasn’t stopped since. He is currently working with 2014 Thiel Fellow Ari Weinstein to develop new types of productivity software for mobile devices, including DeskConnect, which allows users to seamlessly push websites, documents, pictures, and everything else to any device at any time. Eliana Lorch (17, San Francisco, CA) struggles to carry out a conversation for more than five minutes before sidetracking into neural nets or math, either to explain to you what she’s been learning or to press you for your insights. She is passionate about exploring the outstanding results that deep learning has recently led to in computer vision and voice recognition. Fouad Matin (18, McLean, VA) wants to drastically accelerate how we learn. He is building software to make learning technical skills more accessible and efficient. M. C. McGrath (20, Boston, MA) is a former Boston University student working on Transparency Toolkit, which is open-source software that helps investigative journalists rapidly analyze documents without coding to uncover corruption, civil liberties violations, and human rights abuses. Adam Munich (20, Buffalo, NY) is an inventor combining his interests in engineering and natural sciences to develop new technologies to mobilize radiography. Catherine Ray (17, Alexandria, VA) has a passion for exploring the beauty of mathematics and applying its power to unsolved problems in various fields. She is currently focused on improving closed-loop detector adaptation in neuroprosthetics, computationally and mathematically modeling quasicrystaline patterns, and automating the behavioral classifications of lab-animal vocalizations. Jarred Sumner (18, Lafayette, CA) wants to build tools that lower the barriers to entry for starting new companies. Previously, he built Selfstarter, an open-source DIY crowdfunding site that startups have used to raise $10,000,000. Martin Stoyanov (17, Novi Pazar, Bulgaria) is developing software aimed to fundamentally change the way people consume email on the go by enhancing the UI of email inboxes to maximize time and efficiency. Kaushik Tiwari (19 New Delhi, India) is working to improve health care. As a Thiel Fellow, Kaushik hopes to create a technology interface that changes the hospital-patient relationship and solves the problems of transparency and efficiency. Ari Weinstein (19, Philadelphia, PA) is a software jail-breaker with a passion for making great software. He is working with fellow 2014 Thiel Fellow Conrad Kramer on new types of productivity software, including DeskConnect, which allows users to seamlessly push websites, documents, pictures, and everything else to any device at any time. 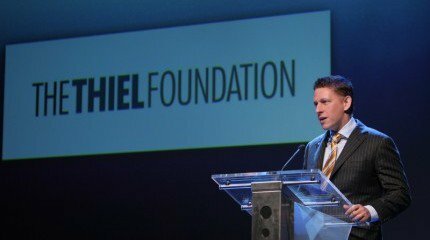 The Thiel Foundation defends and promotes freedom in all its dimensions: political, personal, and economic. The Thiel Foundation supports innovative scientific research and new technologies that empower people to improve their lives, champions organizations and individuals who expose human rights abuses and authoritarianism in all its guises, and encourages the exploration of new ideas and new spaces where people can be less reliant on government and where freedom can flourish. For more information, see ThielFoundation.org, 20under20.org, and BreakoutLabs.org.